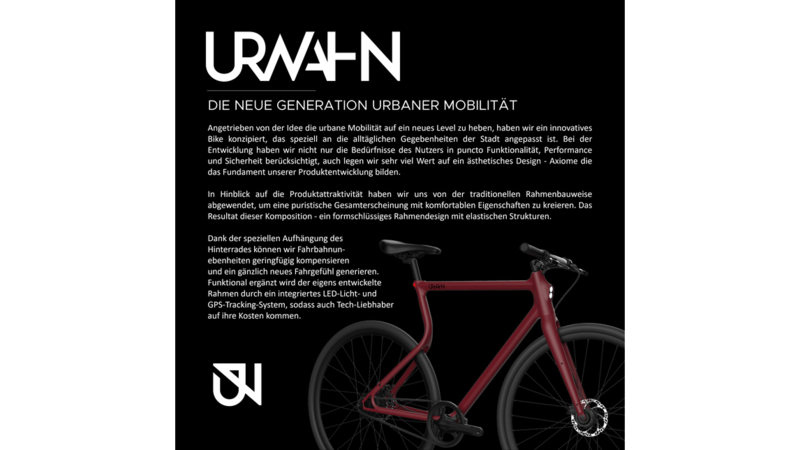 Driven by the idea of taking urban mobility to a whole new level, we designed innovative Urwahn Bikes ready to take on the challenges of urban commuting. During the development process we put emphasis on creating an exceptional user experience by focusing on function, performance and safety, as well as an aesthetic design. We turned away from traditional constructions, in favor of a more puristic overall appearance with comfortable riding qualities. The result of this composition: a form fitting steel frame with elastic structures.